4.5 Stars, bumped to 5 stars because I just can't get the image of Moon out of my head. 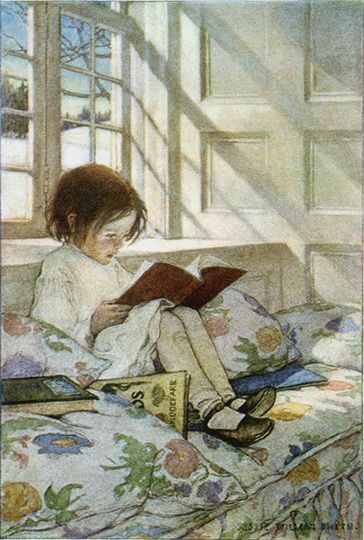 Lundy was a memorable character from the first Wayward Children book, Every Heart a Doorway, because she was a child of a High Logic, High Wicked world who was aging in reverse. For every month that passes, she grows a week younger. In an Absent Dream gives us the story of Katherine Lundy's time in a Goblin Market world in which "fair value" is everything. But what is fair to you, or me, or Lundy? Assume nothing, dear reader. Lundy (because you shouldn't use your real first name in a Goblin Market) first finds the door marked "Be Sure" at age eight and over the course of just under a decade visits the Goblin Market multiple times. She finds out it's a hereditary door. She meets the sister of her heart, Moon, a girl who occasionally, due to Market debts, transitions into a bird-girl hybrid, sliding along a spectrum of mostly girl to mostly bird depending on how much debt she holds. 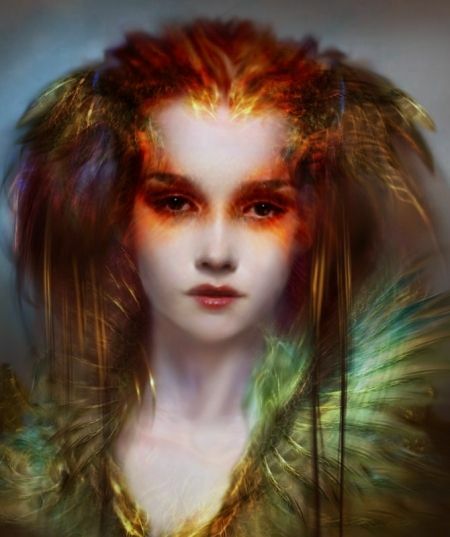 In time, Lundy is no stranger to feathers herself and her father, who also visited the Market but who holds it in far less affection, is horrified when she comes home with feathers on her head and neck. As in the stories of Jack and Jill in the first two Wayward Children books, sisters play an important role in Lundy's story, too. In a portal world where the curfew is at age eighteen, Lundy has hard choices to make between the sister-love of her heart, Moon, and the sister of her family, Diana. In an Absent Dream reiterates the idea of the sacrifices one sister will make for another. As readers of Every Heart a Doorway know, her choices cost Lundy dearly. While I never particularly enjoyed Lundy in the first Wayward Children book, I do have to say that her character, and the reverse aging process she endured, fascinated me. What world would do this to a child and why? Reading of her time in the Goblin Market, and her struggles between family and "home," made me feel far more for her character. Her life was in many respects a tragic one. Be sure to look for my Buddy Read discussion with Alex and Janelle early next week on the blog! I received a Digital Review Copy, along with a paper review copy from Tor.com in exchange for an honest review. Call of the Wild was my Classic Read for the blog for December 2018. I just want to say up front that while the book is beautifully written, I hated the brutality of it with a passion and am going to have at the person who told me I "had to read it!" the first time I get close to them. The story of a St. Bernard-Scotch Collie mix dog named Buck, The Call of the Wild is notable as an early work of anthromorphic fiction. It to some extent falls within the genre of naturalism, because it depicts the effect of environment and social status on the characters in the story. There are also elements of survivalism, pastoralism and primitivism, in which the protagonist in an untamed wilderness slowly goes native, or in this case, wolf. From panhandling outdoorsmen to middle class Gold Rush stampeders, we see the contrast of those who have learned to survive in the Klondike and the fools who ignore every shred of sense or assistance. The opposition of civilization versus the wild is at the heart of this book. Buck is a large and powerful dog living a comfortable life when he is abruptly dognapped and sold to relieve his kidnapper's debts. He is brutalized but never quite broken by a series of truly awful human beings (at a minimum you want them all to endure the same treatment they give Buck) as he becomes a Northern beast of burden- a sled dog. Fighting for his survival against other sled pack dogs, against brutal humans, and finally against wolves, Buck answers the call of the wild and joins a wolf pack as its leader by the book's end. Buck's solely positive relationship with a human is that with John Thornton, the only person in this story who treats Buck with the love and kindness any companion animal deserves. Thornton, who saves Buck from an icy fate, refuses to part with Buck and comprehends the dog's devotion and loyalty to him. 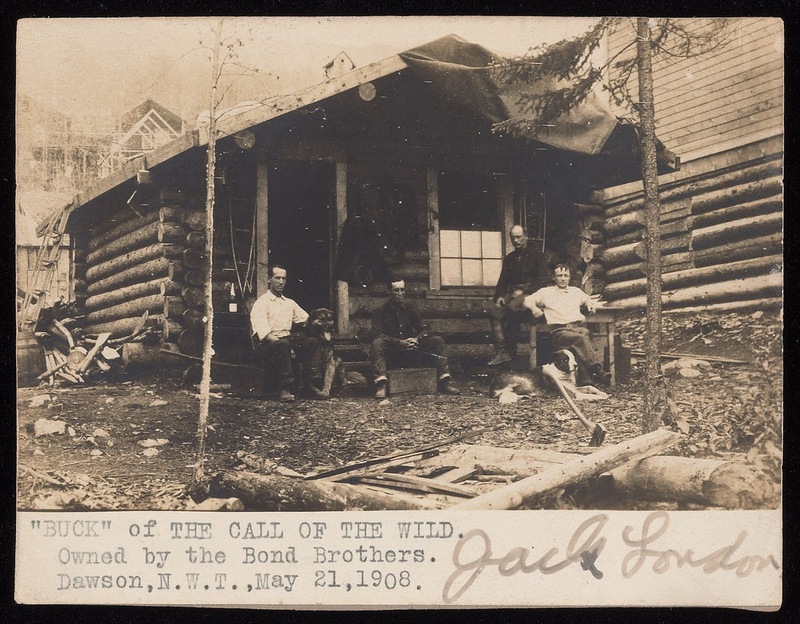 Buck, in turn, refuses to answer the call of the wild until Thornton's passing and after his avenging Thornton's death. Their loyalty and love for one another comprise the only thing that makes this book bearable for me to read. With the exception of Thornton, every other human in this story is just horrible. Some of the other dogs are horrible, too. While I can see much to commend in the actual writing, the brutality of this tale is hard on this reader. In a timely story of US internment camps, Meissner has crafted a moving novel about a young German-American girl, Elise Sontag, whose family was held in the Crystal City Texas camp with suspected Nazi and Japanese sympathizers, and deported to Germany at the end of the Second World War. It is in the camp that Elise meets Mariko Inoue, a Japanese-American girl from Los Angeles and the friendship of a lifetime is forged. Mariko is writ large upon Elise's life, with her hopes of becoming a writer and critic, and her warm manner with Elise, who had just moved to the camp and started attending the camp school. Their friendship means everything to Elise. Only after each family is deported to their parents' country of origin, the girls fall out of touch. Mariko marries young and remains in Japan. Elise marries as well, eventually immigrating back to the US with her husband, settling in Los Angeles and making a life for herself and her two children. Decades later, widowed and suffering from the early stages of Alzheimer's Disease, Elise searches for Mariko, feeling a compulsion to reconnect with her friend before she forgets even the early years of her life. With the disease stripping away so many of her recent memories, the memories of her early life and the friendship that left its mark on her becomes paramount in her mind. Locating Mariko in San Francisco, where she has settled as a widow with her daughter Rina, Elise eludes her family and carers to fly to San Francisco, in hopes of reconnecting with Mariko and fulfilling their childhood promise of finishing a story they were writing together. This novel is notable for dispelling the popular misconception that only Japanese-Americans were interned during WWII and that those interned just went back to their lives and livelihoods in the US after the war. From 1942 until 1945, The Crystal City Texas camp held Japanese, German and Italian Americans, and additionally Latin American Italians. Over 4700 people were interned in the camp, and those housed there were mainly family groups. (Families were usually kept together at this juncture in the US's internment camp history.) The majority of those in this camp were repatriated/deported to the head of household's country of origin to countries devastated by the war, and countries that they had chosen to leave long before WWII. "Mariko would tell me that she believed there were two kinds of mirrors. There was the kind you could look into to see what you looked like, and there was the kind you looked into and saw what other people thought you looked like." One of the things I loved about this novel was that it allows the reader to see those interned in camps as people, and shows that the effects of internment echo on long after those interned are released. While there were some aspects of the central character's inner voice that didn't fully resonate for me, overall I felt the novel was a fine historical fiction recounting of a shadowed area of US history. I received a Digital Review Copy of this book from Penguin Random House's First to Read program in exchange for an honest review. Berkley Press requested early review of this title, which releases March 19, 2019. Over a decade ago, I read Diane Setterfield's splendid The Thirteenth Tale and was hooked on her writing. The idea of how our stories define who we are can be a haunting one, and that is especially true in her latest novel, Once Upon a River. This is a novel about parents and their children, about love and loss, about how grief can twist our perceptions, and about how believing the wrong story about one's self can lead to disaster. Centering on a seemingly miraculous little girl who is brought into The Swan, an inn on the Thames, a true mystery unravels about this child, who arrives looking dead but soon awakens, and several other little girls- a stolen toddler, a lost sister, and a missing granddaughter. Who is this little girl and what are the stories of the other three children? With a deft touch of local folklore and magical realism, Setterfield envelops you in the world, small farming community, and its denizens. With restrained but powerful emotion, you feel the predicament of those impacted by the little girl's arrival, echoing their own losses. The memorable characters and their stories are masterfully revealed to the reader. With echoes of the sensation novels of the Victorian era, this is a book to read slowly and savor. The audiobook is narrated by the fabulous Juliet Stevenson, whose voicing of the various characters adds greatly to the story. Mira Grant, aka Seanan McGuire loves a good biological horror story. And you don't need to look very far afield for sci-fi inspiration these days when you look at the current news with things like measles outbreaks surging in the face of anti-vaxxer madness. Writing on a topic in which she excels- the non-selective brutality of viruses and potential for disastrous mistakes with genetic engineering- McGuire envisions a world in which herd immunity to measles has broken down because there is no longer a protective veil of a substantial vaccinated population. It is a world which the death toll from a new strain of a virus similar to measles dwarfs that of the Spanish Flu of 1918. But what if such a virus also damaged your immune system's ability to form new immune reactions to other diseases? From a scientific standpoint it's not too far a stretch, and from a social/public health standpoint, you're talking about the potential to wipe out wide swaths of the earth's population. Isolating the uninfected seems likely to be the only way to secure the species' future. While this book, to some extent, covers conceptual terrain that McGuire/Grant has previously covered in her Newsflesh series, Kingdom of Needle and Bone makes a marked departure from her previous works in terms of it's overtly political stance and its crystal clear thoughts on things like social welfare (greater common good) and reproductive choice. Longtime readers of McGuire will not be particularly surprised. This is a very important topic, swathed in the velvet of fiction. It's a bold stance in that many in the sciences will applaud. I'll be discussing this book on the blog with Alex and Janelle. KIngdom of Needle and Bone releases on Monday, December 31st. Lady of a Thousand Treasures is a gothic novel of historical fiction with both mystery and romance elements. Byrd has written a novel that hews to its Victorian era period with historical accuracy, including the religious elements of the period which many readers may not be expecting. Elinor Sheffield is left in a terrible situation upon her father's death. Her aging uncle, who had partnered with her father in their fine arts evaluation services, has early dementia, and is forgetting to pay important invoices due, like those for household services. And a long time client, Baron Lydney, father of a young man, Harry Lydney, on whom Elinor had pinned romantic hopes, has died and left Elinor the trustee in charge of determining the fate of his impressive collection, potentially at the expense of his surviving son, Harry, who he blames for the death of his older son, Arthur. Harry had virtually disappeared in recent times from Elinor's life, after implying romantic interest. When he returns he is in the company of a beautiful young Italian woman and her mother. Is he as fickle and feckless as his father's will implies? What will Elinor decide and how will it impact the struggling Sheffield Brothers business? With all the gender constraints of the day, Elinor struggles to right the business, relying on a Mr. Clarkson, who may not be quite what he seems. Pressures, bills, debt collectors mount and Elinor fears for her uncle, her housekeeper and herself, as the prospect of debtors' prison becomes increasingly real to her. I'm not usually a romance reader but this book offered a rich historical world and a protagonist with perseverance and intelligence about whose life I enjoyed reading. I like the inclusion of the Arts and Crafts and Pre-Raphaelite set, and enjoyed the intrigues of the art and antiquities dealers of the day. While I could wholly believe that Harry was not aware of Elinor's dire financial straits, I found I didn't always like him or feel he deserved Elinor. I also question how likely it would be that he would still marry her given her having been taken into a debtor situation, as it seems like it would be an insurmountable social barrier for his class, when he was already marrying down. The mystery aspect of the story, both with artifacts and with Harry himself, kept the reader engaged with twists and unexpected turns, however. All in all, an enjoyable read. I listened to the audiobook edition of this novel for this review. Narrator Elizabeth Jasicki did an excellent job voicing all the characters and pacing the suspense aspects of the story. I received a paper and Digital Review Copy of this book in exchange for an honest review. Our last discussion covered the second book in the Wayward Children series, Down Among the Sticks and Bones, which was the backstory of Jack and Jill's lives before they arrived at Eleanor West's School for Wayward Children. Beneath the Sugar Sky finds us back at the school, with newly arrived Cora, a mermaid girl, and some of our usual favorite students like Christopher, Kade, and Nadya, who is, let me remind you, a Drowned Girl. On a cool afternoon in which Cora and Nadya are enjoying the pond on school grounds, everyone is stunned by the arrival of Rini, a young woman dropped from the future (no, literally), who says she is Sumi's daughter. You remember Sumi, of the ever moving hands, from Every Heart a Doorway? Yes, that Sumi. The one Jill murdered. When she was still a teenager. So how on earth...? Such Nonsense, you say. And you wouldn't be wrong. Only Nonsense could explain bending time and space this way. And only a gifted Baker could make it all right. My feelings are pretty much unchanged from last year but I have to say that I found Rini more irritating this time around, and I loved the Baker even more. I listened to the audiobook, read by Michelle Dockery, and there are some portions of the book, such as the scenes with the Baker, that I love to listen as I would a fairy tale or bedtime story. I did feel that this book didn't flow together with the rest of the series. The previous two books were so strongly linked, and this story, though Sumi is a central component of the story, feels less so. So let's get down to our discussion! Alex: Beneath the Sugar Sky is the third in the Wayward Children series, and while I adore Cora, this is not my favorite book in the series. What are your initial feelings about BTSS? Janelle: My initial feelings were that it was just too much time spent in Nonsense than I liked. I like the Moors, and Logic, or Reason. But on second reading (done earlier today) I liked it a little better. Though I do feel it is oddly padded. Marzie: On listening to the book all the way through, for the second time, I feel as if Rini is too shrill at times. I really loved Nadya, and I loved seeing Nancy again. Having more than a few friends and family that struggle with the hideousness of other people when dealing with their body weight, I really like having Cora, a character whose weight is an advantage in her portal world. Alex: Rini drove me effing bonkers. She was SO WHINY and DEMANDING, and I just wanted to smack her with a wooden spoon to get her to Just. Be. Quiet. Janelle: I liked Cora, too, especially given her real struggles with her weight, and also the judgment of others -- but goodness. I didn’t care much about Rini. Alex: Cora is the character that I desperately want to see more of in fiction. She’s fat but she’s healthy and capable, and she gets to shine. Janelle: What I do love about the book is that I feel like it is both the final book in a trilogy in that we get resolution for characters from book one, and also it is a springboard (I hope!) for other books in the series. I really want to see where the series goes from there. 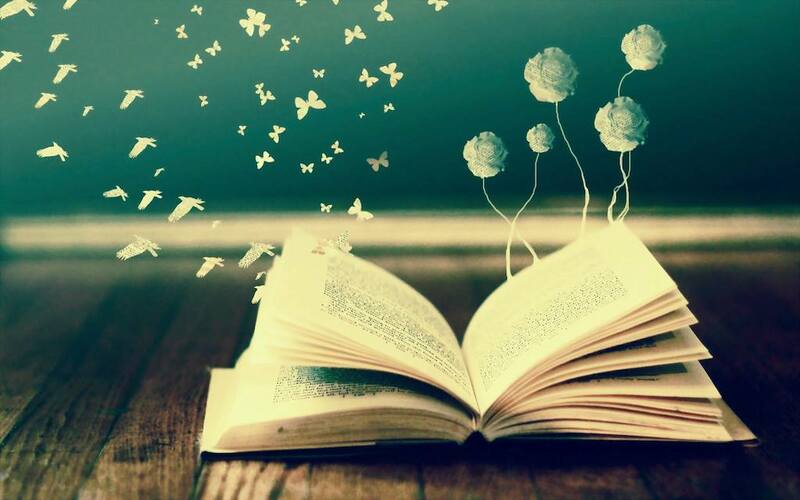 Marzie: I loved the fact that in this book you can repair things that seemed irretrievably broken. They correct the damage done to Sumi and Rini. I also adored the Baker and the philosophy of the Baker's role. And as I said, I enjoyed Nadya. I like her wry humor. And as writer Cara Liebowitz says, Nadya gets to be a person with a physical disability who went to a world (Belyyrreka) where her disability doesn't matter. But I’m not sure I feel it closes a trilogy, as in an Act 1. I actually sort of feel like this book is an awkward middle child book in comparison to the first two, which are so very connected and rich. Alex: I’m with Marzie, this book kind of feels like book 2 in a trilogy, not a completion. I think the next book “at the school” will explore what happens when Sumi comes back to the school. Hopefully, Cora will find her door. Janelle: I kind of think the next books will deal with Jill, and why she was able to do what she did. I got this feeling as I was re-reading today that maybe some of the later books will repair what Jill was breaking but in different ways. Alex: Come Tumbling Down will assuredly be about Jack and Jill, but I’m not sure how. Seanan had mentioned that the books were going to alternate between a backstory book and an “at school” book, and CTD comes after In An Absent Dream which is a backstory book. Alex: I’d leave too! Jill is the Worst. Janelle: But SUCH a fun character. Marzie: But I’m NEVER forgiving Jill for killing Alexis, guys. Ever. On another note, do you think we will see more of Nancy in later books? Janelle: Yeah, I think we will see Nancy in Kade’s book. Alex: I honestly think Nancy’s chapters are done - if we see her again it will be little cameos, but I think she’s done and I am happy leaving her to her solitude and stillness. Marzie: I kind of think she might be done, too, but Kade cares for her, so perhaps we will see some aspect of her in his book. Alex: I don’t really see much how she’d fit in his book, but I think we’re in Speculation territory at this point. Marzie: Wow, for a minute there I read that and thought "Speculation" was a Logic world and wondered how I missed that one! (Readers, check out Tor.com's recent article on the Known Worlds of the Wayward Children series.) What I’m hoping is we don’t get more Rini. I will enjoy more time with Sumi. Never a dull moment, that one. Alex: I was happy to see Sumi alive again, and am looking forward to more of her antics the next time a book is set at the school. Janelle: I also hope not to see Rini. I just don’t like Nonsense. Marzie: Personally, I’d go nuts in Nonsense because a lot of Nonsense seems unfair and quixotic. Also, too much sugar in Confection for me. Nonsense doesn't seem compatible for Ravenclaws like me. Alex: I disagree that nonsense is incompatible with Ravenclaws! Case in point: Luna Lovegood is absolutely in a Nonsense world. Marzie: You’ve got me there on that one. Luna is definitely in a Nonsense world of her own, complete with snorkacks and wrackspurts. Janelle: Yeah, Luna could be a Nonsense deity. Janelle: Speaking of deities, I absolutely adored the idea of the Baker, and what that portends for the series as a whole. Mostly, we have seen the kids who come back and are exiled from the worlds from some reason or other. But it’s interesting to see that the kids who find their doors can gain a godlike power over their world. I wanna see that idea developed further. Alex: I LOVED the Baker! She was fabulous, and I love that she was so no-nonsense about all of the Nonsense. She just did things because they should be done and they worked because she believed they would. Marzie: Well, she was one of the things I liked best about this book. 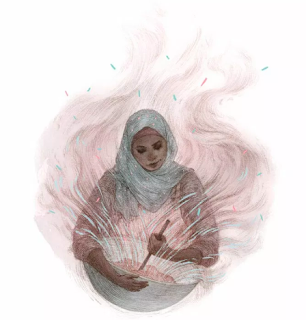 And I love that Rovina Cai illustration of her, mixing her batter. I like the whole philosophy involved with that character and the role she fills regarding creating things in her world that need to be there. And that’s true Janelle, the idea a person's doorway is also a way to have powerful control over their (portal) world is quite unique. Alex: Those illustrations are so gorgeous. Check out Part 2 of our Buddy Read Discussion over on Alex's blog where we discuss whether the Baker is a god, the quest aspect of this book, the bravery of these children, and thoughts about where the series heads next. We will be back in about three weeks with our discussion of In an Absent Dream, the fourth book in the Wayward Children series, which releases on January 8th, 2019. This is a bit of a email/newsletter intro post. Today's reviews offer you some of the interesting picture books I've seen recently. 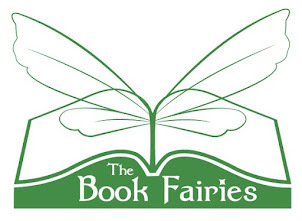 The books in the short reviews posted today are all suitable for children age 3-7. Many of these books can be found in the library or you can buy them in eBook format for more affordable options. But just remember, the kinesthetic sense of holding a book, turning real pages, and tracing a finger along lines of text are a vital part of a child learning to read. This is a good book for classroom use and for parents to explore with their early-reader children. The illustrations, by Sawsan Chalabi, while simple, are effective and humorous. I received a Digital Review Copy of this book from the publisher in exchange for an honest review. A beautiful new edition of the Giovanni's classic children's poetry from the 1970's, with illustrations by Ashley Bryant. As any early childhood educator can tell you poetry is a wonderful way to help early readers learn about the feelings that words can evoke. Rhyming and meter can aid a child in recognizing how to anticipate pronunciation, and help with reading fluency. While some critics may be frustrated with the lack of punctuation, Giovanni's simple language resonates with the reader. Review: Babu and Bina at the Ghost Party! One of the things I loved most as a child was reading about other countries and cultures, including their mythology and folklore. Indian mythology and epics, including the Ramayana and Mahabharata offered exciting stories I was fortunate to have been exposed to at an early age. (I actually bought a small Ganesha bronze statue when I was about ten in an antique store! I bought a Parvati statue when I was eighteen!) It is good to know that there is continuing interest in the Indian mythos in children's books. Earlier this year, Disney/Hyperion released the first in a Middle Grade Indian mythology-based series, Aru Shah and the End of Time. This comes on the heels of other popular books such as Sanjay Patel's mythology-based books inspired by the Ramayana, including his charming Ganesha's Sweet Tooth. P. Tomar and illustrator Giulia Iacopini offer us a new series with an Indian cultural theme for young readers. The first book in the Babu and Bina series, Babu and Bina at the Ghost Party tells a simple story of sibling elephants Babu and Bina Trunk visiting an East Indian fort with their family. When their naughty dog Pinto gets away from them, their chase after him leads them through mysterious places and finally to the ghosts of the Maharaja and Maharani who lived there long ago, along with soldiers and others who served them in the fortress. Babu and Bina keep an open mind about these ghosts and enjoy a light and sound show with them. 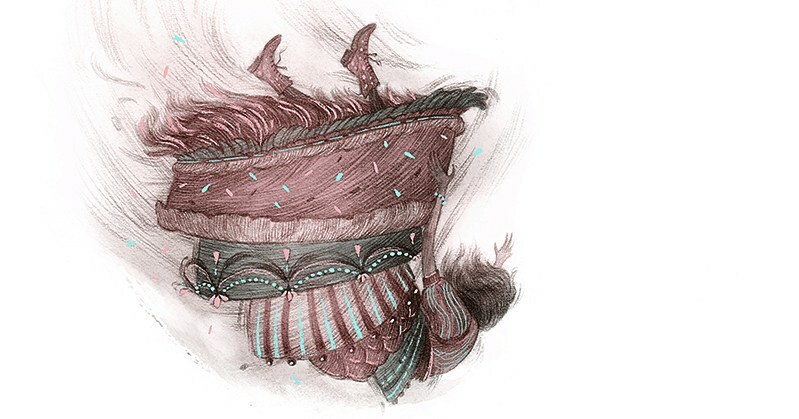 What really stands out in this indie-published picture book is the quality of the imagery. The illustrations are colorful and charming. For children and parents who love stories of other places in the world, this is a charming entry to a new series. The second book in the series, which publishes early next year, find Bina playacting as a Princess for a Day. I received a Digital Review Copy of this book from the author in exchange for an honest review. This is a cute picture book about a really bad seed (cuts in line, talks over people, never washes his hands, always late, never puts things back where he found them, terrible, terrible manners) who finally realizes he only wants to be a bit bad. The reasons why the seed went bad lie in the terrible abuse of sunflower seeds by those would market them as *gasp* FOOD. The Bad Seed is lucky to have escaped a terrible fate. As the seed starts to do better, those around him notice. He's still not a perfect seed, but it's always good to have room to improve. A good metaphor for teaching children with bad habits that doing better doesn't have to mean being perfect. It says something about our times that I entire booth chain (B&N) and indie bookstores and find entire displays devoted to picture books and chapter readers promoting social awareness. Be Kind, published earlier this year, deals with a classmate trying to think about what being kind is all about, and trying to find a way to reach her embarrassed and sad classmate Tanisha with that kindness. Like 2013's superb Invisible Boy, Be Kind offers up ways that children can help one another and even to grownups. A book with an important message. A delightful children's book full of humor, with the goal of teaching children empathy. Penelope Rex starts off school on the wrong foot- she eats her classmates. Her disapproving teacher makes her spit the delicious classmates out and Penelope tries to start over the next day but has a really hard time passing up such delicious children. No one wants to be her friend because who wants to be friends with someone who wants to gobble you up? Eventually, Penelope is bitten by the class goldfish and learns that being eaten isn't very nice at all. I'm all over the place about this fourth entry in the Veronica Speedwell historical mystery series. The first part of the book had me thinking about throwing my eReader across the room, Stoker-fashion, because I found Veronica so abysmally annoying and out of character. After drawing close to Stoker at the end of A Treacherous Curse, at the start of this book we have Veronica running away to Madeira, presumably in large part to avoid dealing with her feelings and Stoker's. Then, more annoyingly, we have what starts looking like a love triangle between Veronica, Stoker and Stoker's excessively debonair brother, Tiberius. Calling in a favor, Tiberius enlists Veronica's help for an odd reunion on an island off the coast of Cornwall. All she has to do is go along and pretend to be his fiancée. Her reward shall be prized glasswing chrysalides to hold in her butterfly conservatory. I had to reframe things several times (recalling that in the Victorian era, married women were chattel, many women died in childbirth, no reproductive choices were available, other than abstinence, etc. and that all of this is anathema to our lady detective) in order to accept Veronica's occasionally rather callous behavior. To top it off, Stoker was not behaving in a particularly mature fashion, either. Eventually, Raybourn managed to pull the story back around from melodrama to a mystery with the feel of du Maurier's Rebecca. Lord Malcolm Romilly, once a very close friend of Stoker's brother, Lord Tiberius Templeton-Vane, lost his wife on their wedding day. By which we mean, she disappeared, even though she was on a small island with few places or means by which one can disappear. Three years later, Tiberius and Veronica, and unexpectedly (well, not so much) Stoker (Revelstoke Templeton-Vane) visit Malcolm, his sister Mertensia (that name had me suspicious for a while... Mertensian mimicry, anyone? ), his widowed sister-in-law Helen, and her son (Malcolm's nephew and heir) Caspian at the Romilly estate on St. Maddern's Island (fictional, but you can fill in one of the Isles of Scilly if you like) for a reunion that turns into a murder investigation. While Malcolm had hoped that his lovely bride Rosamund had merely run away, he announces to his guests at a fateful dinner that he has evidence that he believes indicates she never left the island. What happened to the beautiful young Mrs. Romilly? Leave it to Veronica and Stoker to find out. The latter half of the book is what keeps me from giving this entry a flat out 3 stars. Raybourn eventually manages to make Tiberius a three dimensional character, and she even brings things around between Veronica and Stoker, along with giving us a better understanding of Veronica's months-long trip to Madeira. If you make it past the first hundred pages or so, you'll enjoy this one. I'll be interested to see what Book 5 will bring us. <i>A Dangerous Collaboration</i> releases in March 2019 but is already available for pre-order at your favorite bookseller. I received a Digital Review Copy of this book from Berkeley/Penguin Publishing Group via the First to Read program, in exchange for an honest review.